Two and a Half Canadians in Cambridge: So Cambreejian - or is it? All of a sudden, there are pianos in Cambridge. As in, in Cambridge. 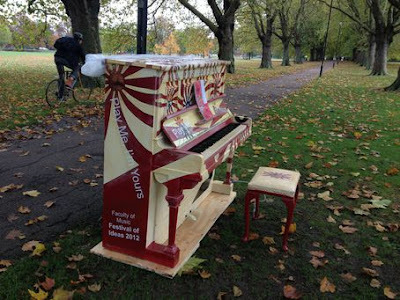 There are pianos in public places, just in the parks, and the squares, and under the bridges. I thought this was part of some weird Cambreejian 'tradition' like holding May Balls (to celebrate the end of exams) in June. 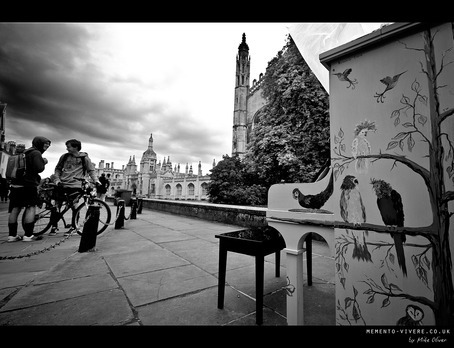 Inquiring minds want to know, and googling "Cambridge Street Piano" led me to this page: http://www.streetpianos.com. You should all go there - it is such a neat idea. 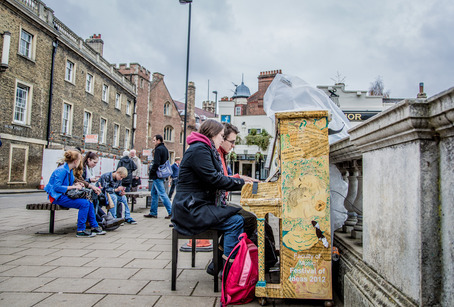 They have an army of pianos around the world, and they get designed and decorated by local artists and put in public places for regular people to play. I love stuff like this. You'll be walking along, just going for a coffee, and all of a sudden, there's beautiful live music right in front of you. Or, you're cycling home, and suddenly the stylings of an amateur pianist hit you as you pass under the bridge on the way home. 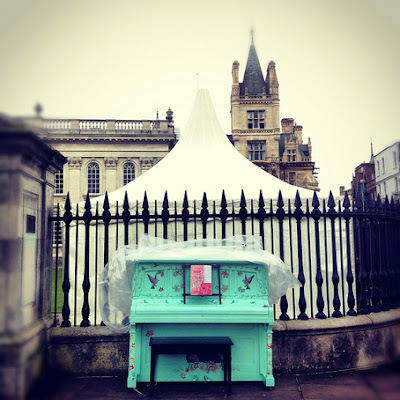 Cambridge, being full of over-achieving students, has lots of people in the category of, "Oh, I don't play much anymore, but my parents made me take lessons so I'd get into _______ school." (Med, business, law, it doesn't matter.) They launch into Rachmaninoff, Beethoven, Mozart, you name it. It's a pretty fab city for a buncha pianos. 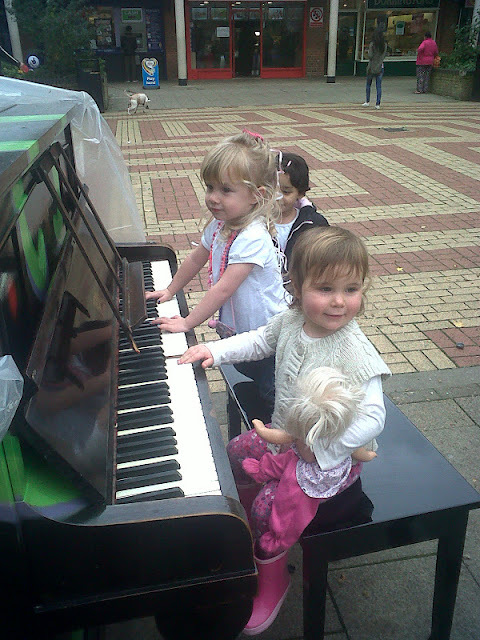 But this is probably the best one, close to our house in Arbury Court.